This week’s quote speaks of the simplicity of living a worthwhile life ~ one in which a smile or a single kind act can make one’s entire life worth living. Perhaps this belief stems from the stance that we can never really be sure of the effects of our actions on those around us? For someone in a dire situation, the ‘lifeline’ thrown by a welcoming smile may have ripples far beyond whatever we could possibly imagine; indeed it might be literally life-saving. For others, a simple, perhaps small, act of kindness might be something that they will treasure for the rest of their lives (maybe paying for their toll fee in a queue, allowing them to go ahead of us in the supermarket queue when they have less items than us, buying a copy of the Big Issue, or introducing them to a new friend, buying a small bunch of flowers when they are down or leaving a random gift of thanks somewhere for them to find – it really doesn’t matter what). It might become the impetus for them to ‘pay it forward’, and in doing so that small act can affect the lives of dozens, if not hundreds of people, over a lifetime. Smiling is one thing that costs us nothing, but can mean so much to the recipient. 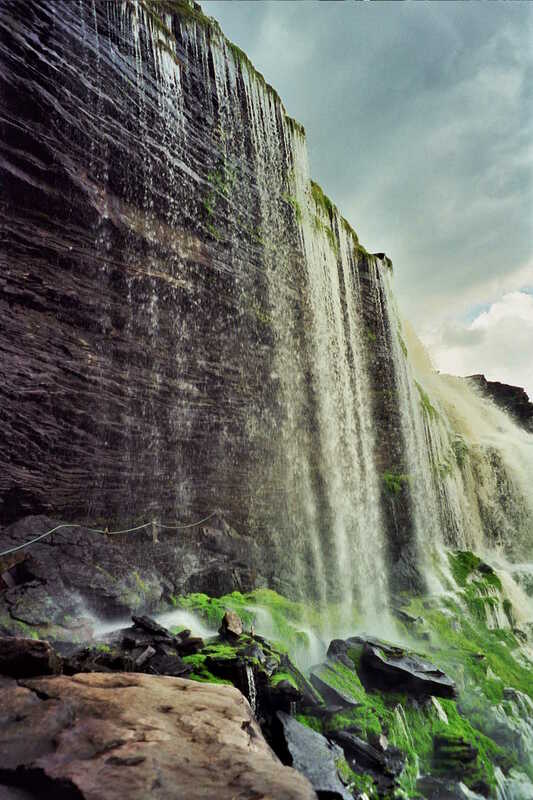 It is easy to smile in a beautiful location like the falls at Canaima, Venezuela (pictured), but more difficult on a cold and rainy afternoon when you’re in a hurry to get home. Why not try living the simple, worthwhile life anyway? Shine your smile on someone and know that it is one good thing you have done today. This entry was posted in Uncategorized and tagged act of kindness, bunch of flowers, canaima venezuela, random gift, smile, worthwhile life. Bookmark the permalink.